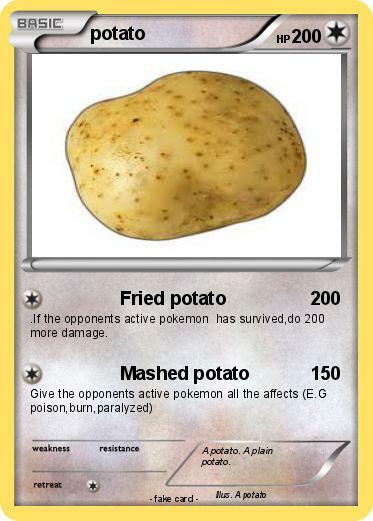 .If the opponents active pokemon has survived,do 200 more damage. Comments : A potato. A plain potato.